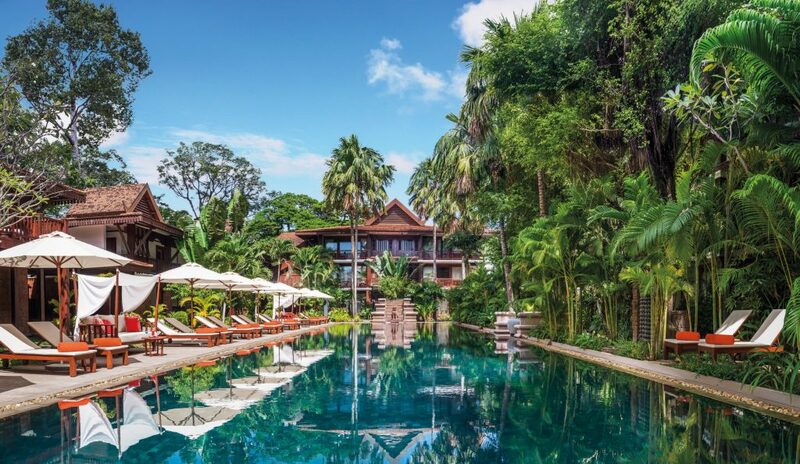 Luxury Wish List: Belmond La Residence D'Angkor in Cambodia - Holy Smithereens! This whole week has been all about travel planning for 2017 for me. And while I’m pretty excited to be visiting new places next year, I am also trying to ensure that we re-visit places that have had significant meaning to our lives. When I learned that the Belmond La Residence D’Angkor in Siem Reap just re-opened as an all suite hotel, I got a little bit sentimental and also inspired to visit Cambodia again. 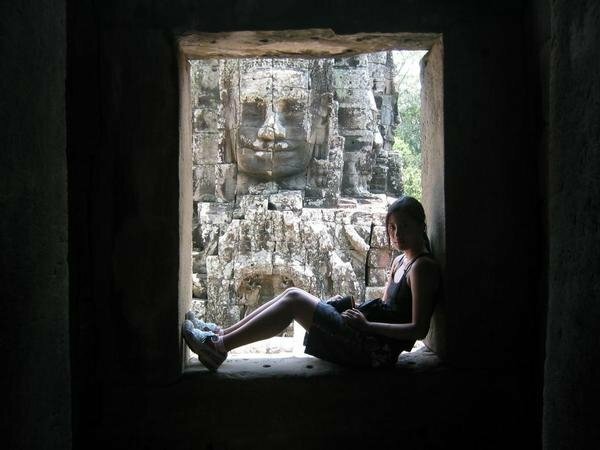 Bayon Temple in Siem Reap Cambodia almost 13 years ago! 13 years ago, Zombie was working for the UN in Cambodia. I got to tag along and was more than happy to, as I was having post-Tomb Raider fever then. We both loved our time both in Phnom Penh, but more so in Siem Reap, where we explored the temples in bicycles. Siem Reap and Cambodia as a whole wasn’t very touristy at all back then. While it was glorious travelling in solitude, there also wasn’t much choice for accommodation back then. Fast forward today, and there are many top choices for travelling in luxury around Cambodia. However, my one concern about returning to Siem Reap is that it may be too crowded, as I would be comparing it to the atmosphere 13 years ago. The saltwater pool will definitely be a relaxing spot after a day of temple exploration. The landscaped gardens have been designed with a central Khmer theme, with the garden walls high enough to offer seclusion and privacy. 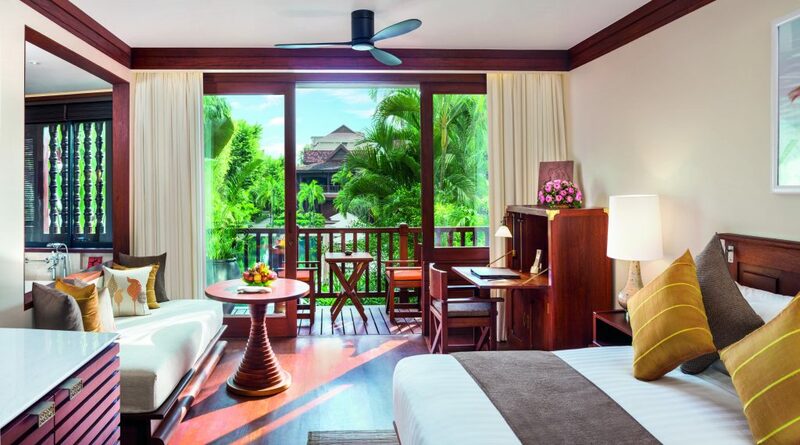 All rooms are suite-types (20 Poolside Junior Suites, 12 Garden Junior Suites, 8 Deluxe Studio Suites and 18 Junior Suites) which makes it ideal for extended travel in Siem Reap. The hotel is located just ten minutes from the Angkor Wat temple complex, so it’s also an ideal base to explore the temples independently. If you have enough days and time it’s much more fun exploring the temples on your own than joining a tour group. We got 3-day passes last time and we didn’t even explore the entire complex, but it was so relaxing to cycle the temple grounds and pick our favourite temples (mine is Bayon Temple). Well we’ve often wondered if we’d return to Cambodia one day, and the relaunching of Belmond La Residence d’Angkor just might be the sign that we should! Top 10 Luxury Hotels with Ultimate Bathrooms! Mixing Luxury and Adventure Travel in Australia Review: The Residence Maldives I’m Off to Fiji to Find Myself! Kayumanis Jimbaran Private Estates & Spa : the Luxury of Being Home First Time in Prague? Here’s Your Czech List! I’ll come too! This hotel looks fantastic, a real oasis of calm. We have never been to Cambodia, it’s a trip long overdue. I have only been to Cambodia once before and loved it, and I’ve been thinking lately that I must go back as well. And just like you the reopening of the Belmond La Residence D’Angkor has tipped me over the edge. I so want to experience that one the next time I make it over that way. I’ve heard such good things about Cambodia, and this place looks just the ticket! I could totally see myself by that pool!